Location: 2 Moylaragh Way, Balbriggan, Co. Dublin. Finnegan Menton presents this wonderful 3 bedroom end of terrace family home in 'walk in' condition. 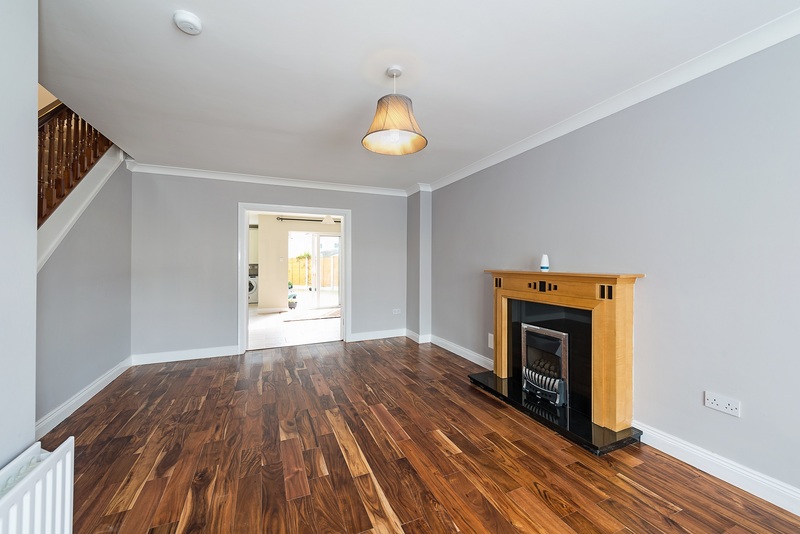 This house was built in 2003 and has been completely renovated in 2016 and has a full Pyrite free certificate for all the remedial works on the house, a brand new kitchen with all electrical appliances included, new timber floors, new tiling and generally in show house condition. 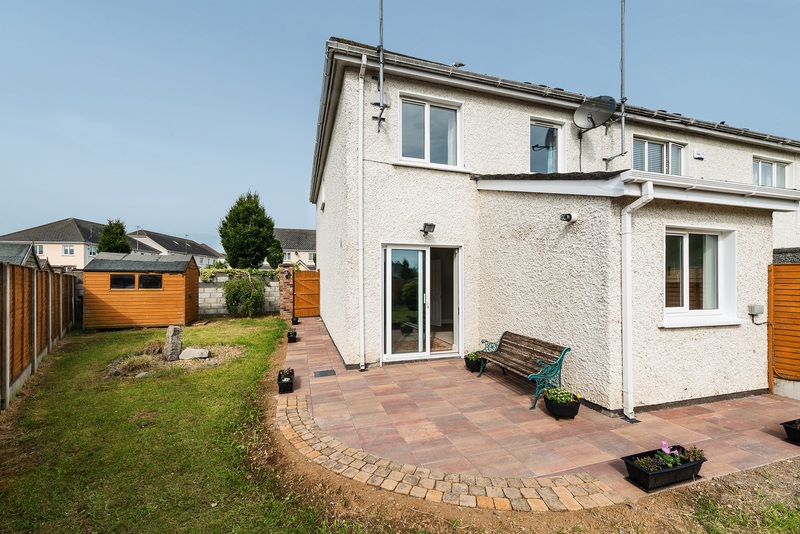 This home also has a very large side entrance and would possibly be suitable for extending to the side of the house (subject to the necessary Planning Permission been granted). Really excellent choice of Schools in the area include Balbriggan Educate Together National School, Scoil Chormaic Community National School, Gaelscoil Bhaile Brigin, Bracken Educate Together National School, Balrothery National School, S.S. Peters & Paul JNS, St. Georges National School, Balbriggan Community College, St. Teresa's Primary School, St. Molagas National School and a number of Nursery Schools to include Cocoon and The Children's Village Montessori. 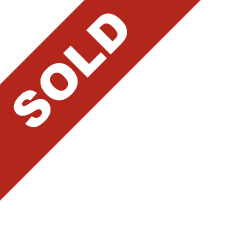 Immediate sale required, proof of mortgage / cash funds and solicitor needed if you are putting an offer forward, no problem to do a full structural survey and Bank Mortgage Valuation on the house at any stage in the process. This is a pyrite free home and has all the paperwork. 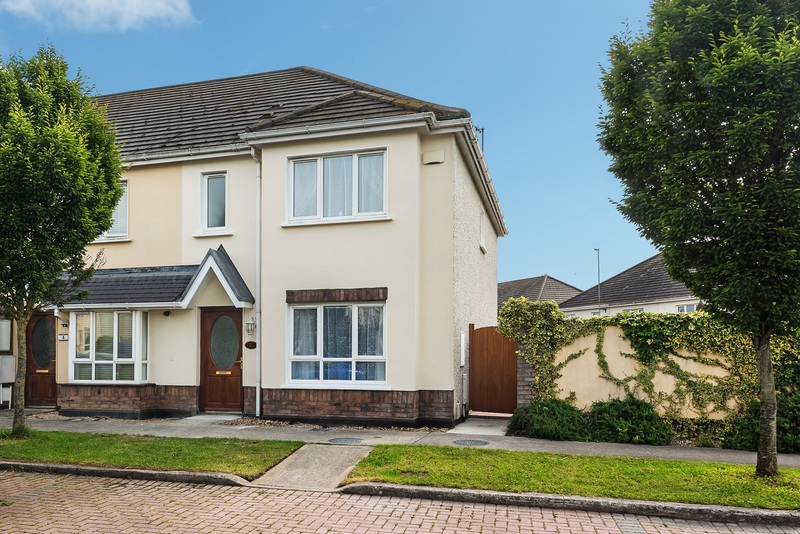 2 Moylaragh way is just off Harry Reynolds Road which is off the Naul Road in Balbriggan just after St. Georges National School and Millfield Shopping Centre and Tesco Extra. 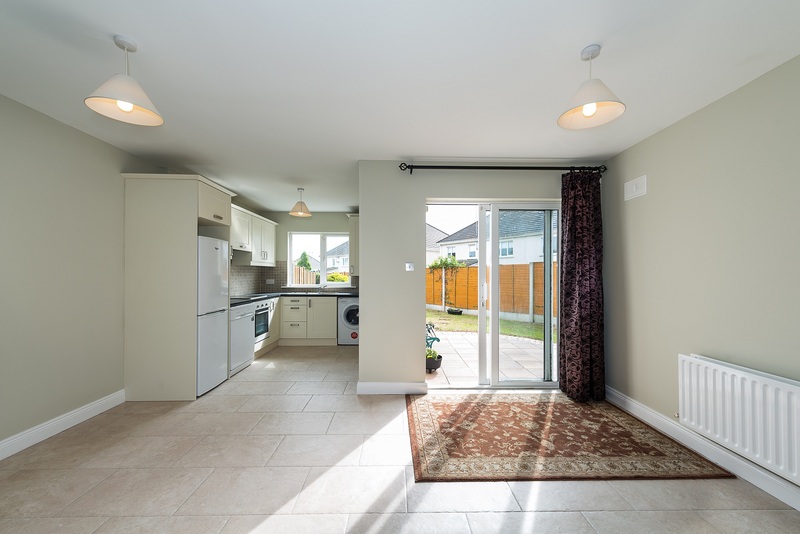 This is a very convenient location within a very short walk of the beach, many sports clubs and Balbriggan town centre with an array of restaurants, bars, cafes, cinema etc. Shopping is available close by and schools are immediately at hand - St Georges National School on the Naul Road. 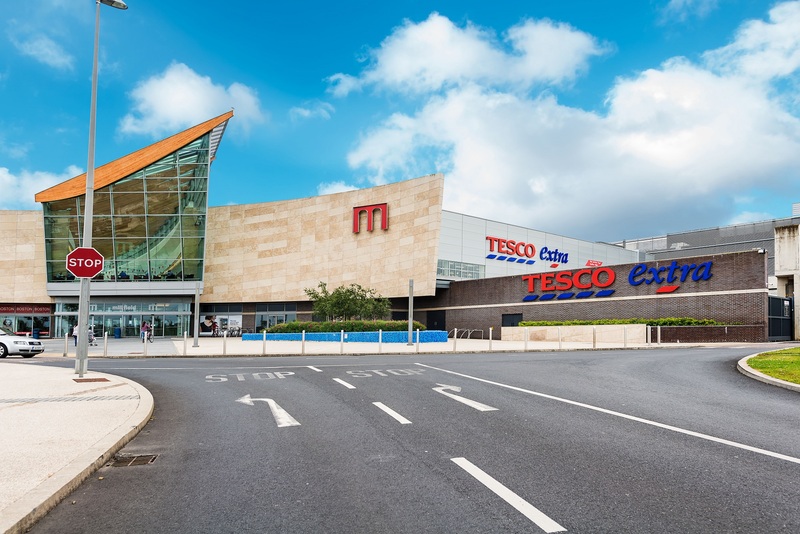 Moylaragh Way gives easy access to the M1 motorway and Balbriggan Town in only a few minutes drive. Small entrance hall, alarm panel, telephone point. Just off the entrance hall. whb & wc, complete floor to ceiling wall & floor tiling. 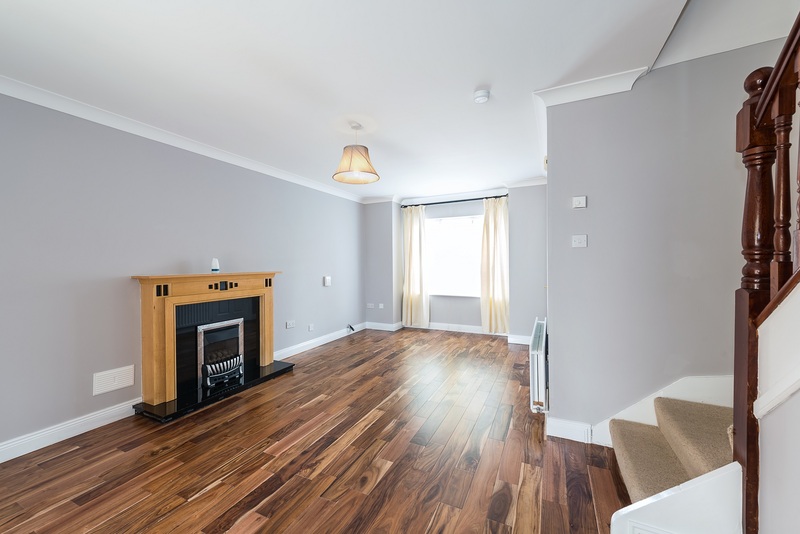 Bright living room area with a timber fireplace with gas fire inset, timber hard wood flooring, tv point, coving, curtains & pole included, painted in a beautiful light grey colours and a bay window. Open plan kitchen and dining room area is also a bright space and open plan, brand new fitted cream kitchen units with all brand new electrical appliances to include Hoover washing machine, Whirlpool fridge freezer, Whirlpool cooker, hob & extractor hood, splash back wall tiling in kitchen and complete floor tiling throughout the kitchen and dining area, patio door to the rear garden, under stairs storage, painted in light mint green colour, curtains and pole included, Vokera Gas Boiler. 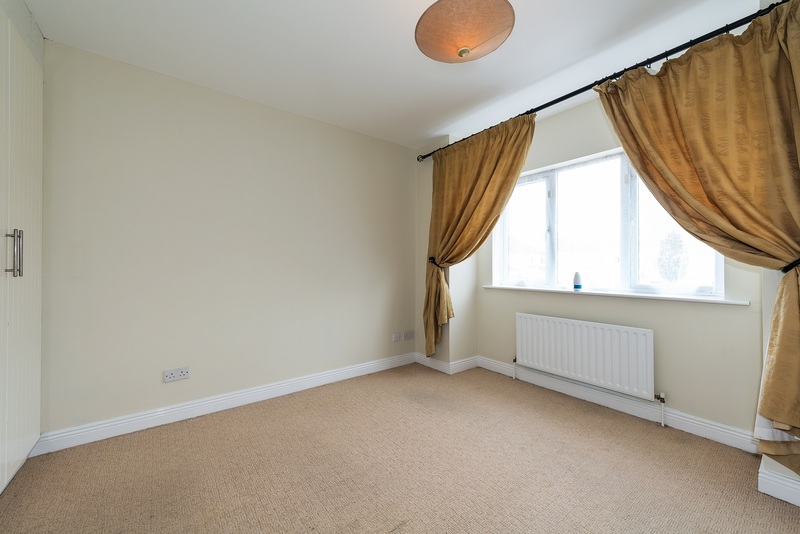 Single bedroom, carpeted, curtain & pole included. 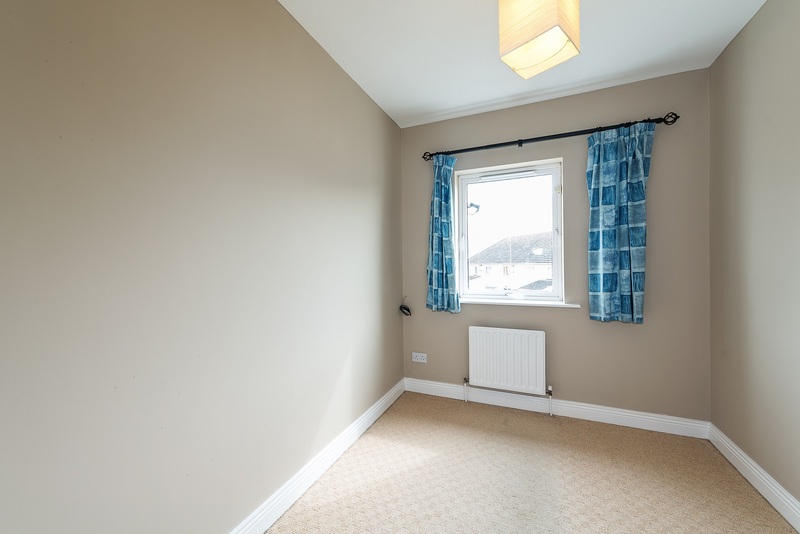 Double bedroom, carpeted, fitted wardrobe, curtain & pole included. 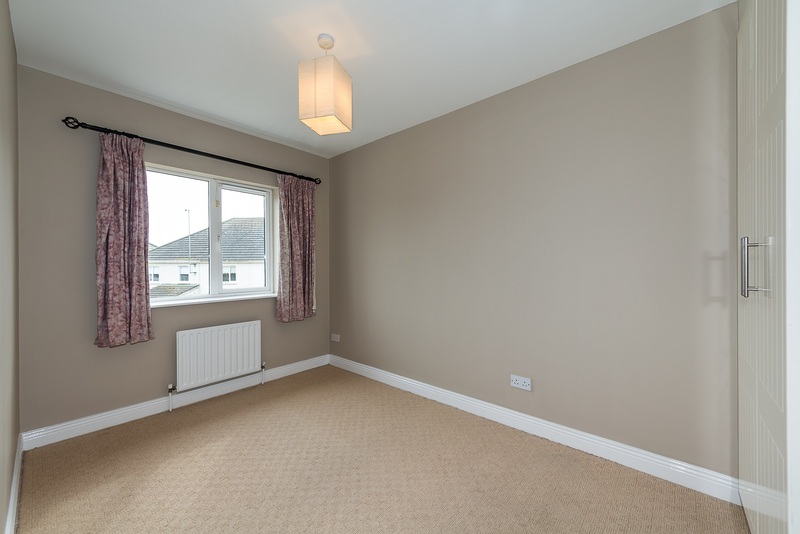 Master bedroom, double bedroom, carpeted, fitted wardrobes, tv point, telephone point, curtain and pole included. 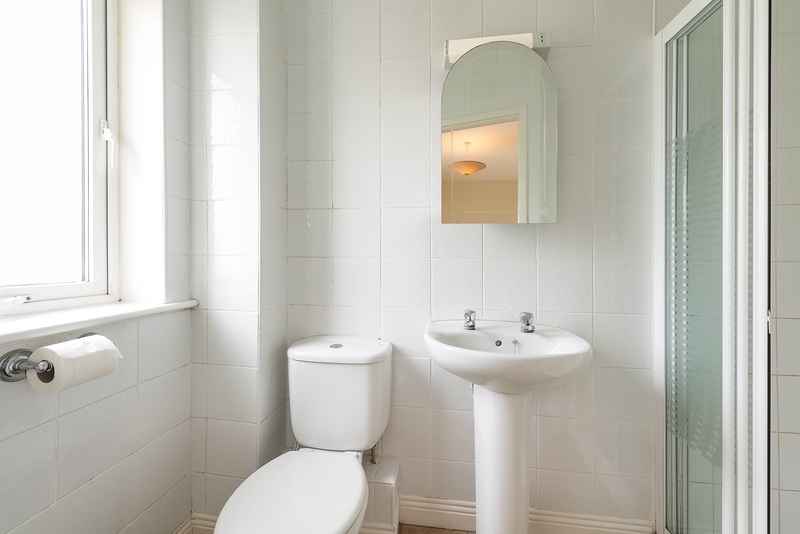 Fully fitted bathroom suite comprising wc, whb, power shower with glass door, complete wall and floor tiling. Carpeted, hotpress off the hall floor landing area, hotpress has 2 shelves and an insulated tank. - Ideal starter home or investment. - Large end of terrace house c.100sq.m. (1,076sq.ft.). 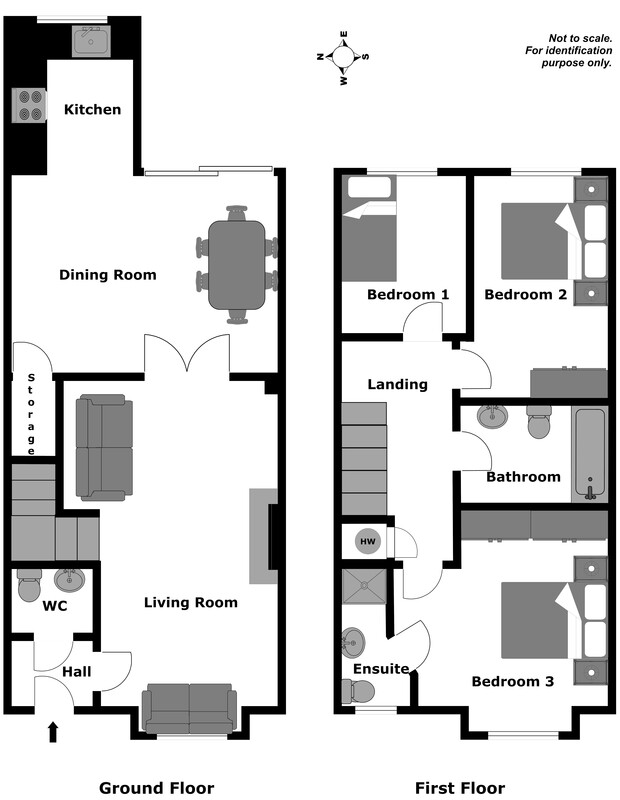 - 3 bedrooms & 3 bathrooms. - Large side garden and patio area. - Completely renovated in 2016. - Ample car parking to front of the house. 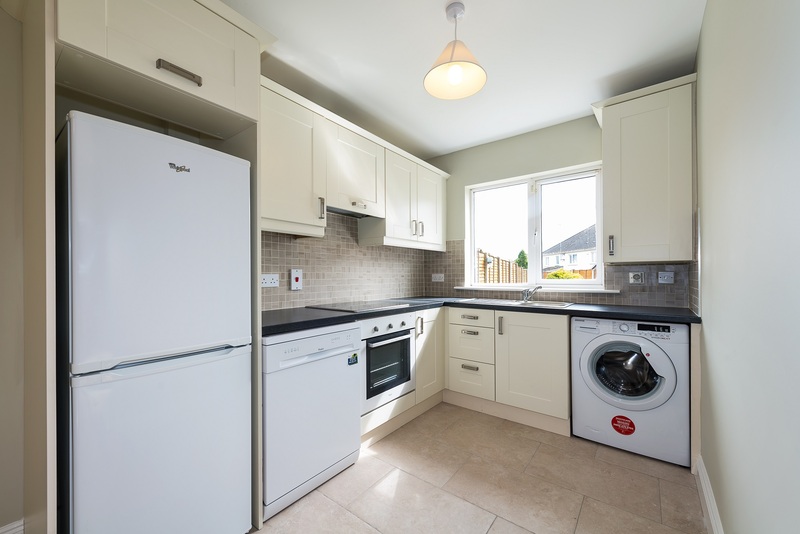 - Brand new cream kitchen with all new electrical appliances. 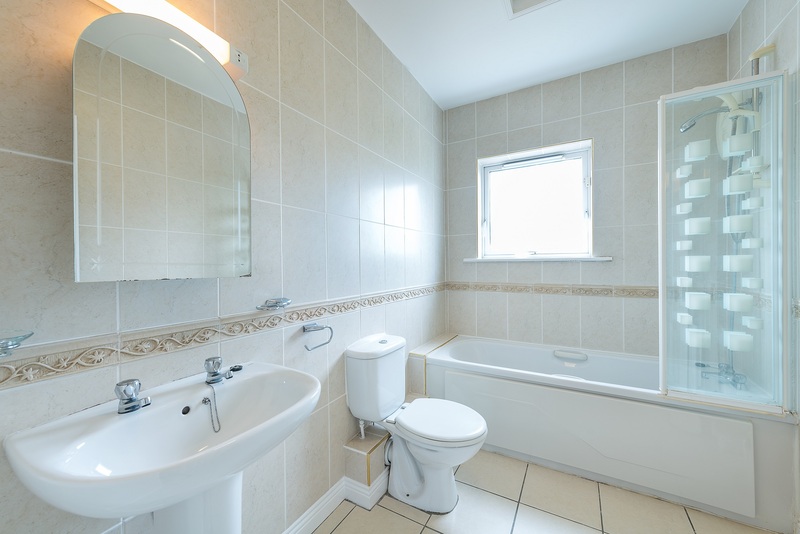 - Close to Schools and Tesco Extra / Millfield Shopping Centre. 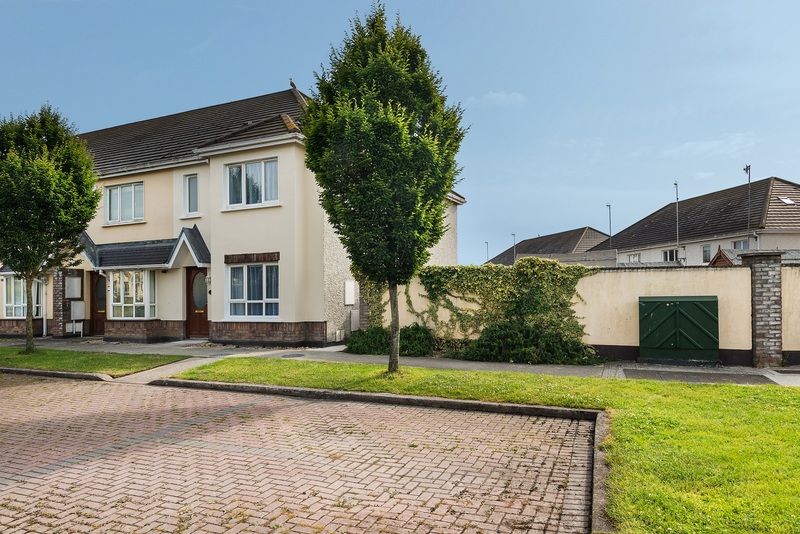 - Close to Train Station & Balbriggan Main Street. - Fitted wardrobes in two bedrooms. 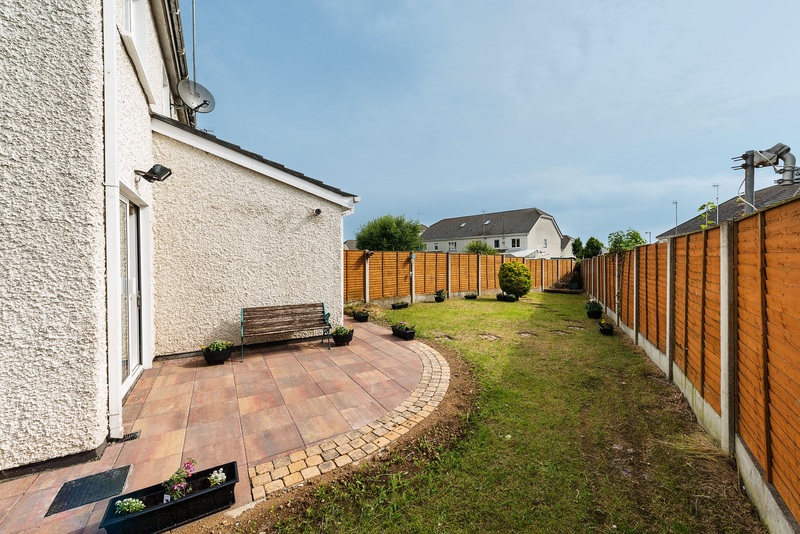 - Close to Balbriggan Beach & Harbour. - Walk in show house condition. - Located on a small cul-de-sac. - PYRITE FREE, CERT AVAILABLE. - BER CERT & Advisory Report Available. - New patio area off dining area. End of terrace house with a large garden with wide side access, garden shed included, side gate, patio area. Moylaragh Way is off Harry Reynolds Road which is just off the Naul Road. Balbriggan is accessed from Junction 6 off the M1. Driving towards Balbriggan, it is on the left hand side just after Tesco / Millfield Shopping Centre.